Funny Jewish sayings have been around a long time. We are going to look at some of these sayings, some funny quotes and jokes about Jews, and some Yiddish words and their meanings. Since Jews have been around over 3000 years, there are many words of wisdom that are still true today. 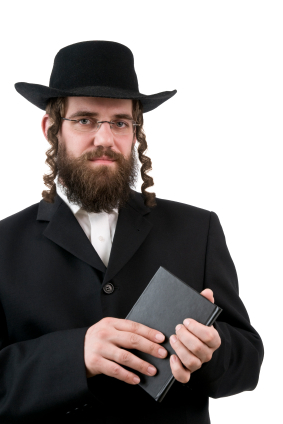 Here are some funny Jewish sayings and some wise proverbs. He has more in his head than in his pocket. You can't sit on two horses with one behind. They are both in love: he with himself and she with herself. With horses you check the teeth; with a human you check the brains. The hat is fine but the head is too small. He's meditating on whether a flea has a belly-button. All is not butter that comes from a cow. If he were twice as smart, he'd be an idiot! If a girl can't dance, she says the musicians can't play. Dress up a broom and it will look nice too. Even a bear can be taught to dance. Don't give me the honey and spare me the sting. If you sleep with dogs, you get up with fleas. See more funny Jewish quotes. A car hit a Jewish man. The paramedic says, "Are you comfortable?" The man says, "I make a good living. In the early part of the 20th century, more than 10 million people world-wide spoke Yiddish. By the middle part of that century, the numbers had declined to around 2.5 million but it is still being spoken today. oy vey - means dismay or grief; "oy vey iz mir" means "Oh, woe is me." "Funny Jewish Sayings." YourDictionary, n.d. Web. 20 April 2019. <https://quotes.yourdictionary.com/articles/funny-jewish-sayings.html>.